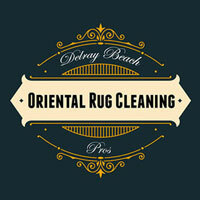 Delray Beach Oriental Rug Cleaning Pros offer high quality Oriental rug cleaning in Abacoa, FL. An Oriental rug is an elegant addition to any home, but like all rugs and carpets, requires regular cleaning and maintenance. Beyond simple vacuuming and spot-treatment, your taste of the east deserves a professional cleaning every couple of years. When it comes to our cleaning processes, we first check out the rug on a minute level, measuring and inspecting for spots, stains, burns or even holes. We perform pH and dye transfer tests to ensure that we do not cause damage to your rug in the process of cleaning it. We then execute a preliminary vacuum to remove any hidden loose dirt or pet hair, using our high-impact dusting system. Next we pre-spot the rug in order to break down set-in stains. As always, we use a specially-formulated shampoo-cleanser before breaking out our triple-planetary rotary machine to clear away any remaining debris. Last, we perform a hot-water vacuum rinse. We quick-dry your rug while cleaning up the rest of our materials. If your rug has fringes around the sides, our professional rug and carpet cleaning crew will carefully brush them out and shampoo them to restore their original color and texture. For a thorough cleaning of your fine rugs, our team will pick your rugs up and clean them in a specially designed facility. We will determine as much as we possibly can about the type of rug and inherent qualities that may affect cleaning. We will outline the expected results and cleaning "prescription." Our company will come to your home to pick up your rug, or you may drop it by our shop. 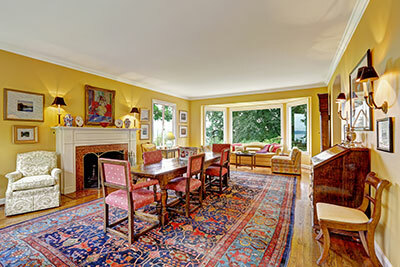 Woven rugs, especially hand-knotted rugs, are designed to hide dry soil. A few years ago, the Eureka company did a study and found out that a 9' x 12' rug could hide 85 lbs. of dirt! Wow - that's a lot of dirt! We use a variety of techniques to "dust" the rugs from the front and back. A machine called a pile lifter, special vacuum attachments, and many other methods are implemented. This is the most important step in cleaning any textile. 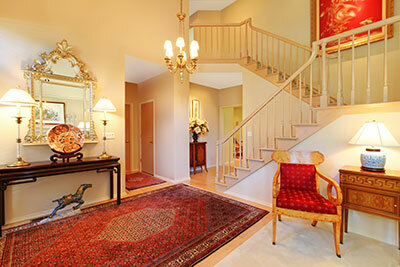 Our team specializes in cleaning Persian, Oriental, Chinese, and other fine rugs. We will baby your rugs in our fully equipped facilities. Typically rugs can be picked up and returned in approximately 14 days.